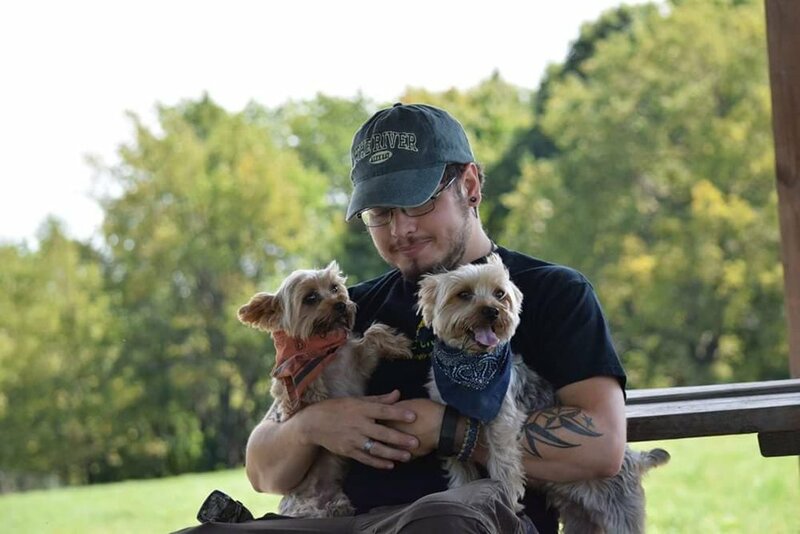 Meet Canine Camp Counselor Matt T! Originally born in Alabama, Matt grew up in New Jersey before moving to Scranton, PA in 2008 where he now resides with his 3 dogs, 2 cats and 1 bearded dragon. Matt has been a loyal staff member of Eva’s Play Pups since May 2016. He loves spending time with many different dog breeds and is continually working to improve his communication and relationship skills with all of our canine campers. He also has a special place in his heart for rescue dogs. As an adopted child himself, Matt understands the importance of finding and being welcomed into a forever home. Check out our About page to get to know more of our Eva's Play Pups Staff!